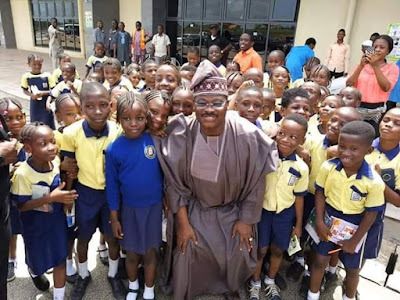 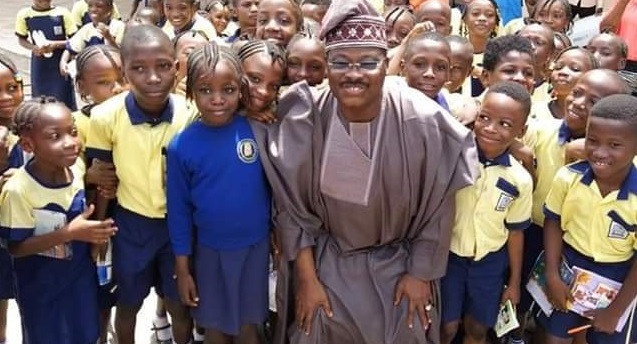 Outgoing Oyo State Governor, Senator Abiola Ajimobi has been pictured with school students at Ibadan airport. 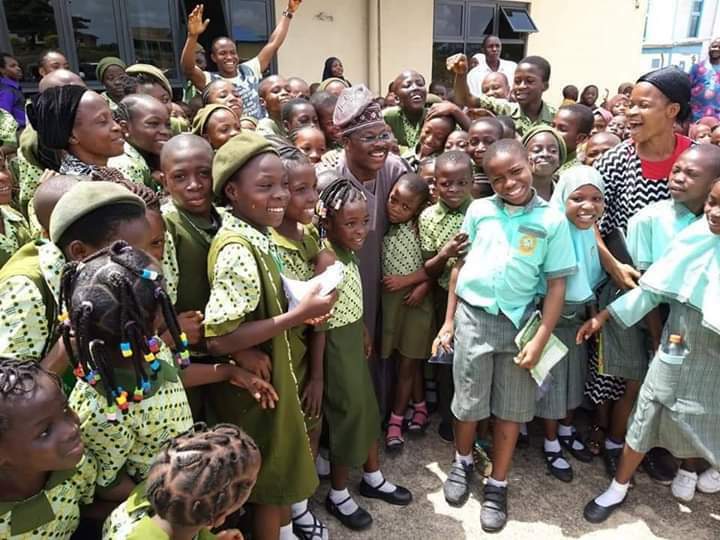 The Governor ran into the primary school students on excursion, and had to say a special HELLO to them by posing for photographs with them. 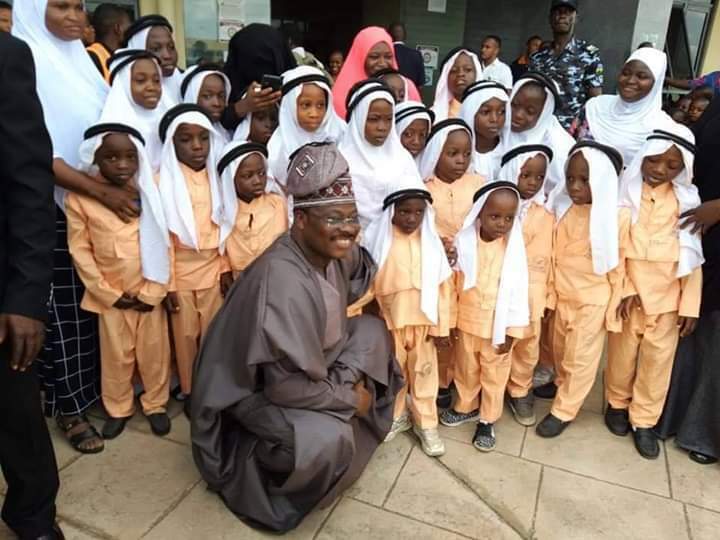 He is now suddenly nice, right?